Refined, contemporary design with a playful twist, these grey high heel shoes are all about carefully selected materials and proportions. 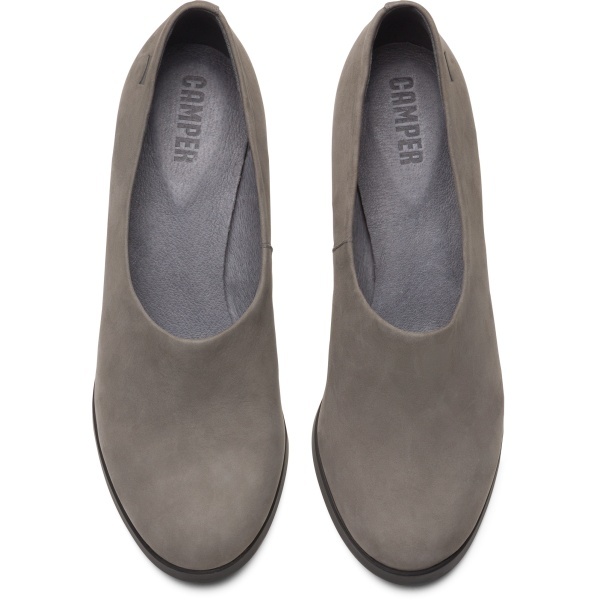 The monochrome uppers are breathable and made from long-lasting nubuck leathers. Abrasion resistant TPU and ABS are used for the outsoles and 8.0 cm block heels, giving stability as well as extraordinary grip. They have OrthoLite® padding inside to cushion your feet on the go.